Seth Godin was born on July 10, 1960, in New York to an average couple who maintained that a good education was the responsibility they had towards their child. Seth was an intelligent little boy who always did well at the school, but his success was clearly not foreseen.After graduating from the Stanford Business School, Seth Godin established “Yoyodyne”, which turned into a big venture,before he sold it off. After that, he wrote several bestselling books, like All Marketers Are Liars, Permission MarketingandPurple Cow. In 2005, Godin founded Squidoo.com, a Web site where users can share links and information about an idea or topic important to them. 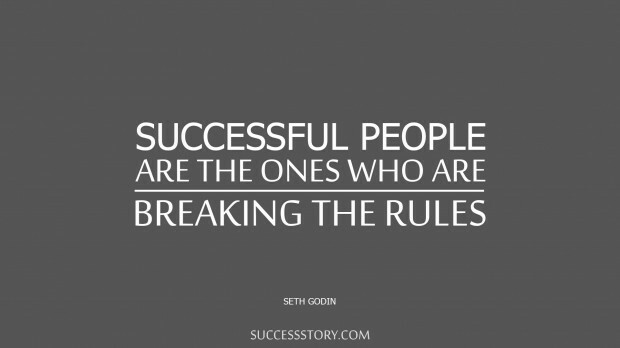 "Success people are the one who breaks the rules"